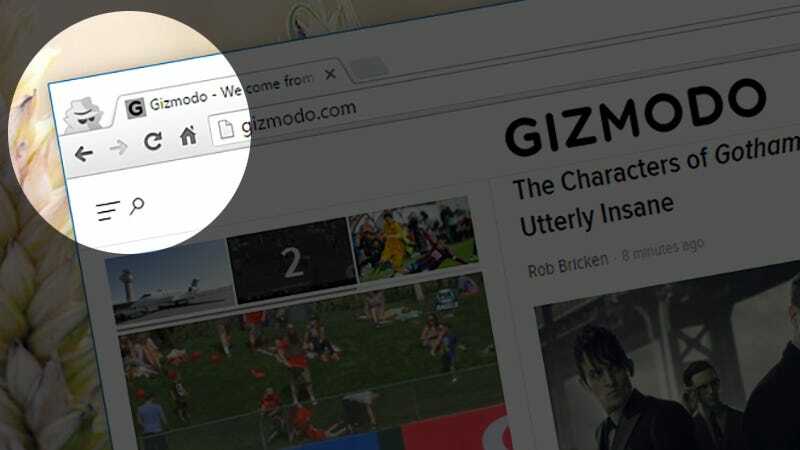 Your browser’s private or incognito mode can be useful for many reasons, but you should always know what it is and isn’t hiding. Here’s exactly what’s happening when you launch a private window. First of all, this is the data that isn’t kept: searches, visited pages, and cookies won’t stick around on the local computer once you’ve closed all of your private tabs. As far as your browser application is concerned, you were never online—well, almost. Even when you’re in private mode, you’re still shuttling information between your computer and the internet. Your internet service provider (ISP) isn’t going to suddenly look away because you’ve opened up an incognito tab. Routers and remote servers are largely unaffected by your browsing mode. In short, you’re still being tracked by the people operating server access points. So what? Well, if you’re downloading movies or music illegally, for example, then your ISP can technically monitor those searches and determine where they’re coming from. You should only use private mode when you want your browsing to be completely hidden from the local browser—but chances are it’s getting stored somewhere else in some form or another. Your employers can also keep a close eye on what you’re doing if you’re using equipment they’ve paid for. Obviously every workplace will have a different network guidelines, but it’s likely that elements of what you’re doing are being logged somewhere at the compan. Incognito or private mode is a handy, quick way of viewing a page without being logged into any accounts. However, if you do log into Facebook, Amazon, or anywhere else, then those sites are obviously going to know about it—if you are going to log in with your credentials, private mode won’t cloak you. Your browser won’t know you’ve just spent five hours browsing Amazon, but Amazon will—and the next time you fire up the site you might see advertising relating to those previous searches. It’s something to bear in mind if you share these accounts and online apps with others. Then there’s local apps running on your machine that aren’t your browser: keyloggers, security tools, and other surveillance software probably won’t care that you’ve gone into private mode. Again, this can leave behind traces of what you’ve been up to. It’s not a big risk for most people, but it’s certainly another one worth considering. That potential security threat extends to browser extensions, too. While many will honor the rules of private mode, a 2015 study found that some Firefox extensions didn’t. Google Chrome actually disables extensions in incognito mode, but it’s possible that add-ons can be running in the background or in non-incognito windows. Private mode is a helpful tool in all the major browsers—just make sure you’re aware of its limitations before you fire it up.